The nine men who survived a sinking off Nunavut are trying to put the harrowing ordeal behind them, with the skipper speaking out about search rescue. The nine men who survived the sinking of the Atlantic Charger off Nunavut last month are trying to put the harrowing ordeal behind them, with the skipper speaking out strongly about why a helicopter was not on the scene to rescue them. "It's on my mind continually. It just haven't left me," Byron Oxford, the Atlantic Charger's captain, said in an interview with CBC Radio's The Broadcast. Oxford, who is still recovering from the Sept. 21 incident, also becomes emotional as he describes the gruelling wait the crew endured for an anticipated air rescue that never arrived. Instead, the nine-member fishing crew was brought to safety amid heavily rolling waves to another ship. "I'm angry. You can't be cutting things to the point where lives are in danger and nine of us aboard one vessel and a lot of these ships down there got 25 or 30 people on them," Oxford said. "Search and rescue needs to step up." Oxford said if anyone assumes everything went smoothly because the crew survived, they would be wrong. 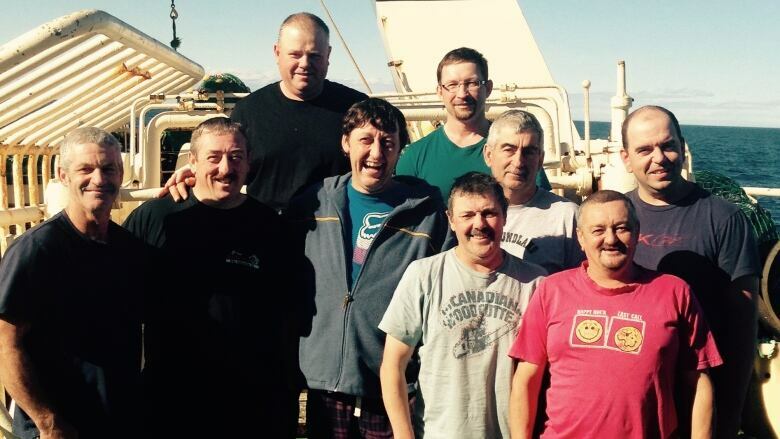 Memories of abandoning a sinking ship and a dangerous rescue in Frobisher Bay are still haunting the fishermen. "One guy's wife called my wife a few nights ago and asked if I was sleeping OK because her husband wakes up in the night time in a panic," he said. 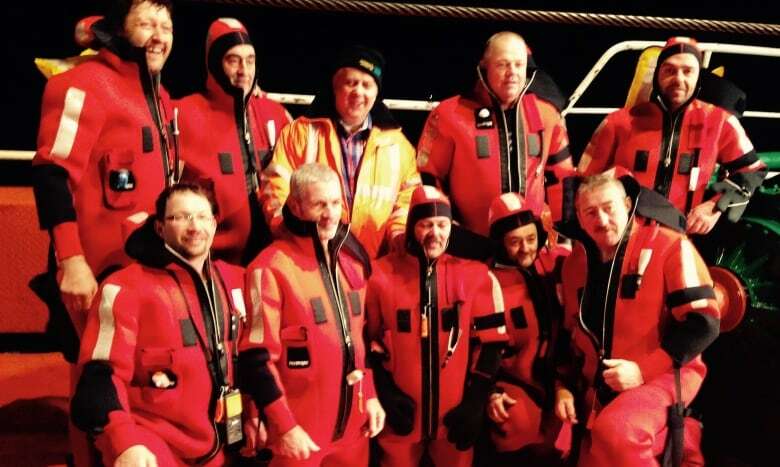 The men spent 12 hours in a life raft. At times, they struggled to keep a canopy overhead and were exposed to the ocean. "The seas were breaking in over us and the water was coming in," he said. "It was a hard time, a different scenario then what we're used to fishing east off of Newfoundland." The crew lost a VHF radio when they jumped overboard so they were without any communication. They had lost their sea anchor and were adrift. Some of the men had gotten water in their suits and were bitterly cold. They knew Oxford had made a successful mayday call to the rescue coordination centre in Halifax but sometimes their thoughts turned to the worst. "When it got to the point where someone was talking about home or, if this happens we're all going to be killed... it was, stop that," he said. You had to think positive and that's what it was, it was mind over matter. I tried to do my best to sing a few songs or tell a few jokes whatever needed to be done to keep the morale up." After three hours, the men heard a plane overhead. "It was a real good feeling. We were found. I said, b'ys, perfect. The plane is here and we're spotted. Only a matter of time now before the helicopter gets here," said Oxford. The plane shot down a radio to the men but the message they heard from the pilot was unclear about the arrival of a Cormorant helicopter from Gander. Oxford said he thinks he was either told that the chopper would arrive in five hours or that it couldn't lift off for five hours. Oxford says the morale among the men sank with that news but hope came again after eight hours in the raft. A research vessel, The Arctic, had arrived on scene. Oxford said the attempted rescue from this vessel ended up being the scariest part of their nightmare at sea. "We were damn near killed," he said. The vessel had shot out a rope line and pulled the life raft close to the vessel. "Just to give you a picture, one minute you were down in a trough of a wave and looking up at this massive ship and the rail is up there 50 to 60 feet and then the next minute, you're just eyeballing it right, and just slamming up against it." The crew of The Arctic put out a gangway to try and save the men. Oxford says the unpredictable swells made it more than precarious. "We went under the gangway and when we rose with the swell, I told the b'ys to duck, to get down because we're going to slam up against that gangway. The b'ys ducked and we brought up against the gangway and if they never ducked I'm sure they would have broke their necks." The gangway hooked the raft and burst the top cell of air open. "They were doing the best they could to try to save us. They didn't have the equipment to deal with us, we should have been rescued by a helicopter." The men were struggling to get clear of the hull of the vessel to protect themselves from further punctures. At one point, they ended up dangerously close to the back of the ship. "And then it looked like we were going to be under the stern of this vessel, and she was floundering and if we had got caught there and she'd have pitched on top of us, she would have drove us under the water and we would never have been seen no more. In all my life, I never seen anything so frightening. It was just horrific. How we escaped it I don't know," said Oxford. Eventually the men were able to paddle away from their well intentioned rescuers. They shot out a new, dry life raft for the men and all nine scrambled on board. Almost a full 12 hours after they'd jumped from their ship, a different vessel, the Pamiut, which is equipped with a Zodiac, was finally able to bring the men to safety two at a time. Byron Oxford says the seas were still incredibly rough and the men on board the Zodiac put their own lives in danger. 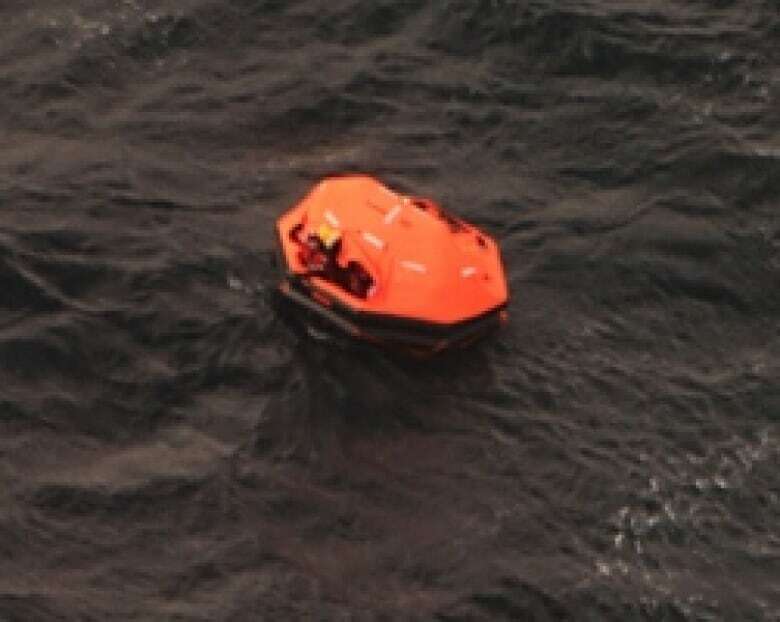 Oxford says the safest rescue at sea is by helicopter and that's what should have happened, even though there is no search and rescue helicopter stationed in Labrador. Ryan Cleary, the NDP incumbent in St. John's South-Mount Pearl, has been asking questions of the Canadian Coast Guard and the military about the incident. Cleary said he was told a helicopter was dispatched but he still hasn't been told at what time it was sent. Cleary was also told the chopper would have needed to make two fuel stops in order to reach the men. 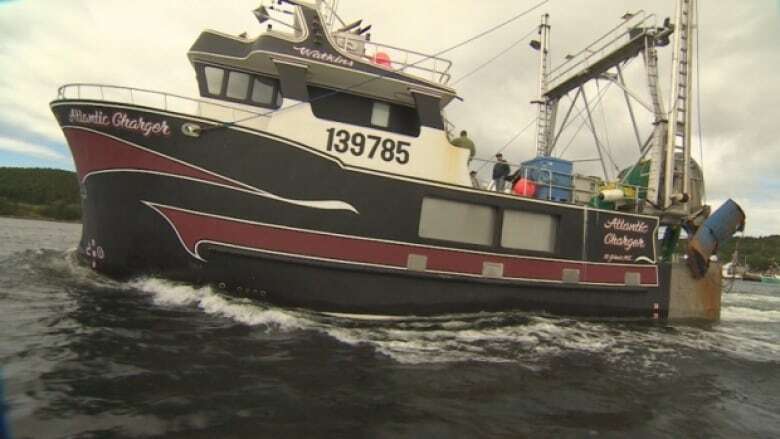 "What mariners off Labrador want to know here, is if there is a tragedy, if a vessel goes down, can a helicopter from Gander make its way off northern Labrador to save them, and the answer seems to be no," said Cleary. Cleary thinks the situation should be reviewed. "What are mariners supposed to take out of this, please god, that there's a factory freezer trawler or a ship around that can pick you up because the Cormorants can't make it? That's not good enough," said Cleary. As for Byron Oxford, he says he has full intentions of going back to sea but he is thinking twice about fishing in the far north unless he knows for sure a Cormorant helicopter could make a rescue in those waters. 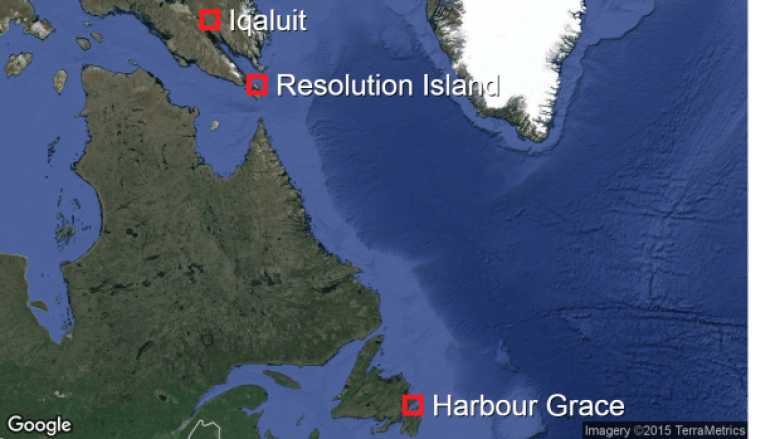 He's calling for a search and rescue helicopter to be stationed in Labrador. 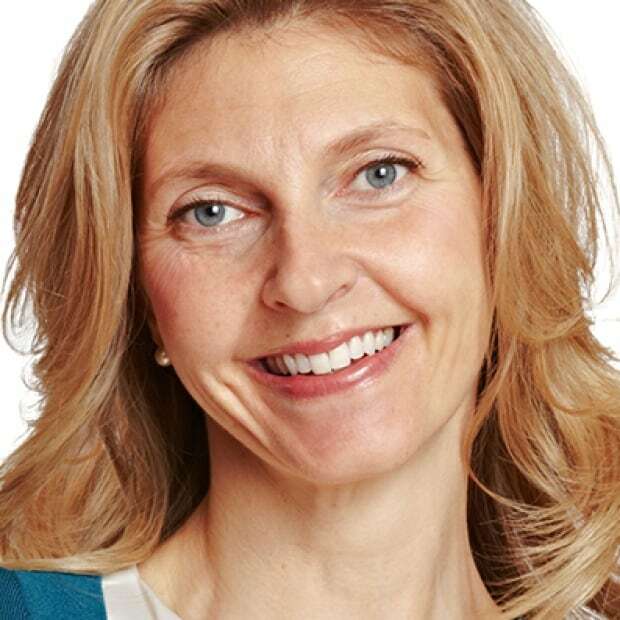 "They need to create a better environment for people to be working in," said Oxford.